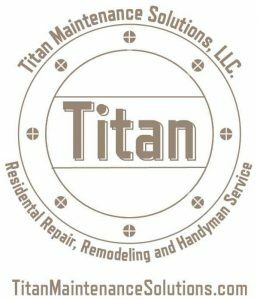 All services below are provided by Titan Maintenance Solutions, LLC. Jill and Aaron, Titan’s owners established Titan Maintenance Solutions, LLC in an effort to offer more services at a lower cost for owners and fellow property investors. TMS is a license and bonded, full service, contracting company. Whether your investment property needs Routine, Preventive, Corrective or Cosmetic Maintenance TMS is your answer. As a general contractor Aaron is able to do most everything you need done. If there is a task that TITAN is unable to accomplish, we have established long time relationships with of our outside vendors. All material costs are passed directly through with copies of receipts and invoices. Interior Painting and small exterior jobs. All material cost passed directly through with copies of receipts and invoices. We recommend using our color pallet to lower paint and labor costs.